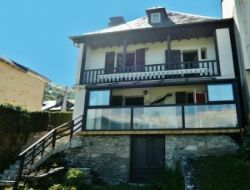 Holiday rental at the entrance of Cauterets, located on the ground floor of a residence of chalets, including terrace and small garden. Rental by the week. Open for rent all year round. You will be in 800 m of the center town, any trade, a small supermarket is with 500 m of the residence. In 5 mn from cable railways, our gite situated in St Lary (Pyrenean ski resort) is a house for 8 pers with garden. Clear view on the mountain, quiet environment, 400 m from shops and thermes. 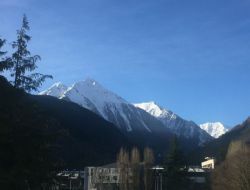 Rent of a holiday cottage in 4km from Lourdes and its Sanctuaries, in the Vallée des Gaves, start from the most beautiful excursions: Gavarnie, Cauterets, Aubisque and Tourmalet etc. 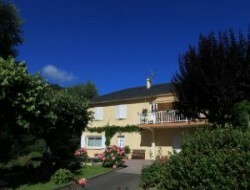 Holiday rental for 8 people with charm, renovated, in a typical village in the Pyrenees. 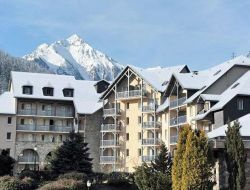 Location very well located, perfect for beautiful nature walks, skiing ... 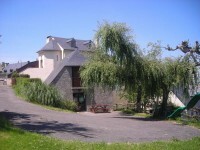 Location 2km from Luz St Sauveur and 5 mn from the station Barèges La Mongie. 3km to the resort of Argelès Gazost, this cottage, a renovated barn, for 6 people, in a small farming hamlet is ideally located at the entrance of 2 valleys, for: summer, discover the major sites of the Pyrenees and in winter, skiing. Enjoy the comfort and coziness of a cottage ranked "3 épis". 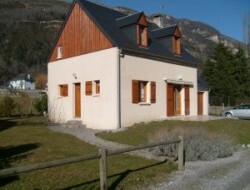 Renting an apartment, 3 rooms of 56m², in the village of Saint Lary Soulan (65), totally renovated, sleeps 6 maximum. 2nd floor without elevator. 2 balconies, North and South facing the summits. Not overlooked, private cellar. Village center at 3 minutes, thermal baths and gondolas 900 meters accessible by free shuttle, stop at the foot of the building. 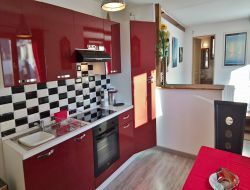 20 minutes from Lourdes between countryside and mountains, holiday rental on one level with a mix of modern harmony and shimmering colors. skilfully landscaped, the space is nice and bright. An outdoor area with independent entrance is devoted to your tranquility. An hour away, here you are to challenge the passes of the Tour de France, to discover natural sites - Lake Payolle, Pic du Midi de Bigorre. 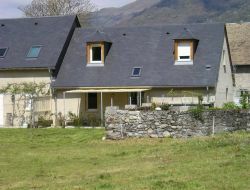 Rent of a holiday cottage situated in a typical village with an exceptional panorama on the mountain range Hautacam. You can discover the wealth of the heritage of this site and the beauty of the surrounding landscapes. 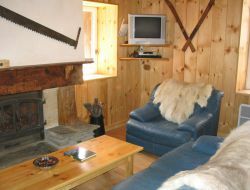 Holiday residence in the heart of the village and 100 m from the cable car to the ski resort of St Lary. The recently built residence and comfort, offers comfortable and cozy apartment with a balcony, terrace or balcony to enjoy the view offered.